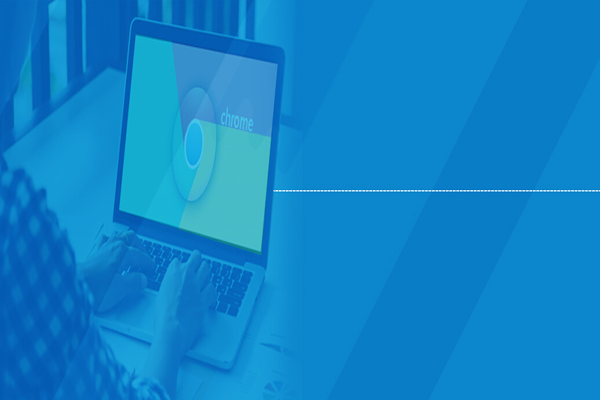 Google Chrome for Enterprise is an edition available in Chrome OS, programmed for business purpose. This version comprises an additional set of deployment and management features, which provides an enhanced range of controls and security too. But, a challenge arises where enterprises feel whether Chromebook is secure or not? With the purpose of helping out industries, this post is going to illustrate challenges associated with cloud security for enterprise Chromebook in a business. After this, we will advise you for an effective approach to deal with information protection. Chrome Browser Might Steal OS’ Thunder – At the time of Webcast, Google stated that its respective browser would be sharing several features, comprising of HTML 5 apps, App Center, Panels, and Tabs. Now a question arises that ‘Why to work with Chrome OS if users are already working with browser that is providing most of its functionalities?’ Here comes the role of Google where it needs to play with instant-on capability over its environment and unique set of features. System Drivers, drivers, and drives – During the Chrome OS demo version, Google made use of an Android phone in a netbook. The purpose here was to enable users to work with documents on external devices. This point can be considered as a positive perspective when a business person sees with a ‘work flexibility’ factor. But, what about the thousands of employees who are accessing USB gadgets and peripherals for sharing purpose? This demands for a data security of Chromebook in which administrators come to know about the activities performed with their information. Not only two but, there are several risks associated with cloud security for enterprise Chromebook. It is dependent upon the users who work with it. Points might be any because that’s an individual point of view. Whether it is about business purpose or personal, cloud security is essential. In case of Chromebook, this cloud security is a shared responsibility. Google tries its best in keeping customer’s information safe on the cloud. But, what about the consumers? Are they adopting preventive solutions to maintain data protection in Chromebook? One thing needs to be kept in mind that Chromebook is a cloud computing-based technology. It demands the equal involvement of service providers and consumers to protect data, which is stored on it. So, let’s go to the solution in the next section, shared for the security of enterprise Chromebook edition! Access Control – CloudCodes solution uses conditional policies with the purpose of enforcing controlling standards on user access. It might be possible that an employee work with business data from an unknown location, device, etc. Security policies like IP restriction, login time restriction, and geolocation restriction, are rendered by CloudCodes for Chromebook. Data Loss Prevention – It becomes essential to append standards on data usage in a business because its about securing confidential content. CloudCodes solution protects the breaching by instantly blocking unauthorized access. Apart from this, it enables administrators to append more individual in a single access for IT monitoring purpose. Identity Management – Chromebook for business edition might be utilized in a huge enterprise where more than thousands of employees are working. In such a scenario, it becomes important to achieve an identity management solution to be safe from unauthorized accessing. CloudCodes for Chromebook solution package comprises of an identity management system. It ensures that business content is getting accessed by an authentic individual. Things are easy to manage only a person should have capability of choosing the correct solution for a problem. Security of Google Chromebook is simple to achieve by integrating Chromebook system with CloudCodes Security solution. This will enable enterprises to think more on innovation ideas for business development, rather than focusing upon cloud data protection.